Before we proceed to the actual party nails, a quick update on the most recent development of our trip. Right now we’re deep in the wilds of Siberia! To be accurate, it’s not quite the wilds as there are many highly developed populous cities in Siberia and we’re in one of them – Novokuznetsk. This is where Dostoevsky married his first wife. Just 1 hours drive in any direction and you’ll be in either a wild Russian forest called “tayga” or some rustic village where locals live as you would imagine them to live 200 (or even 500) years ago. That’s exactly what we did – spent a week close to mother nature. We were even able to get a faint Internet connection from the roof of the house we’re staying in. So yep, all Instagrams and tweets last week were uploaded with a view. In nail polish terms we’re in paradise! We’ve discovered SO many new fabulous local brands. Compared to what we brought with us on a trip, the polish content of our luggage has at least tripled. We’re afraid it may grow ten times by end of our stay as we simply can’t resist buying all these pretties.It’s a unique opportunity as most Russian brands can’t be bought anywhere else in the world. One of them, we’ve already shown in this post, and if you’re curious to check out some of our purchases – here and here. More swatches will be shown soon! As for the party nails we’re showing you today – we had this look for our first night out in Siberia. It was such a fantastic night and no, there were no bears at the disco! 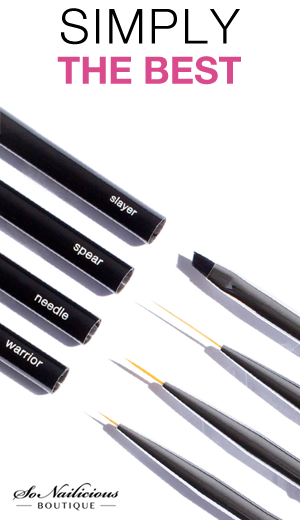 Apply a protective base coat. 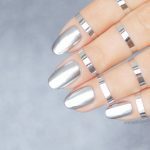 Apply 1-2 coats of silver shimmer polish on all nails. Let it dry for 5 minutes, don’t worry about it being completely dry. 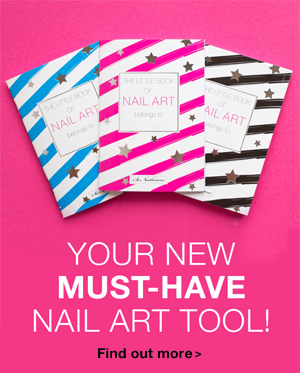 Complete one nail at a time, use the same technique for each nail. Start by creating the chevron pattern. 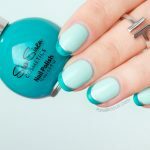 With a fine brush, place a dot of mint polish at even intervals along the length of your nail. Using the dots you’ve just made as starting points, paint the chevron boarders with the same brush. Again with the same brush, fill in between the boarders. 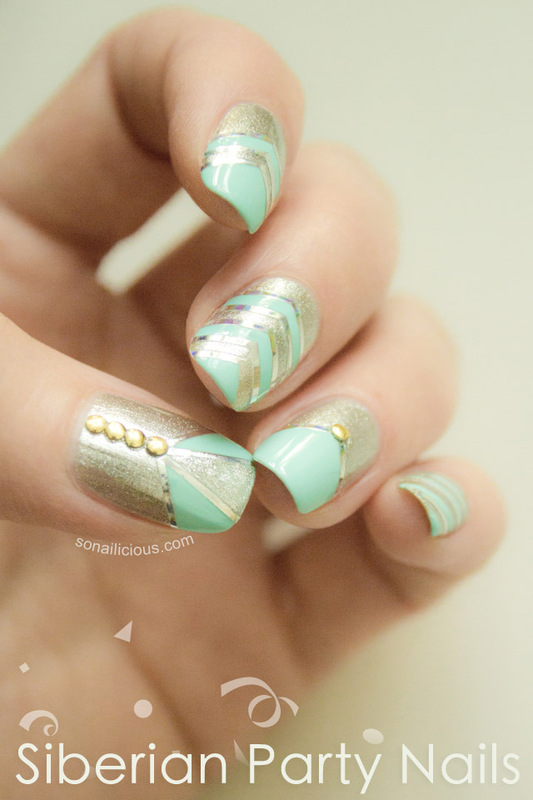 Repeat steps 2 & 3 for each nail. 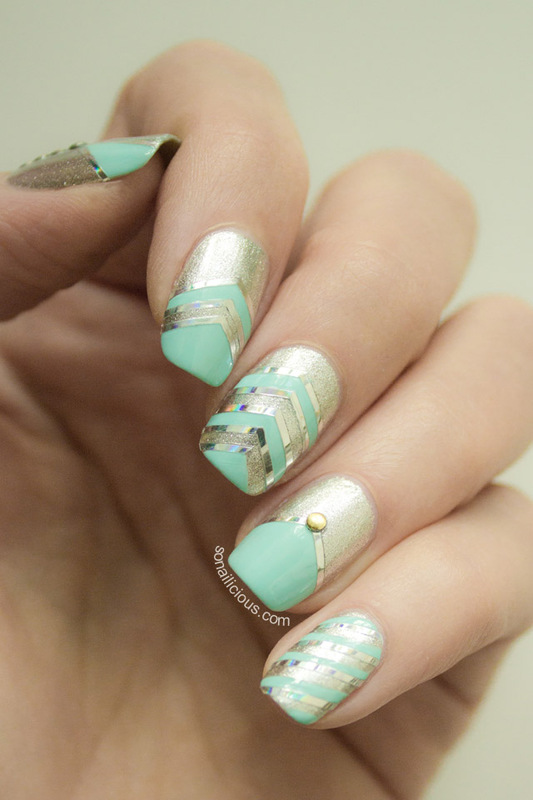 Place silver striping tape on the edge where the mint and silver meet. Next, place studs at the apex of some chevrons (thumb and ring fingers in our case) and seal the whole nail with a fast drying top coat to even out the surface and secure the studs. Used: Orly #48700 Shine (silver base), Essie #754 Mint Candy Apple, studs and striping tape from BornPretty store, Orly Top 2 Bottom used as base and top coat – highly recommend this one, esp. if you’re travelling. So, how do you like our Siberian party nails? If you try this design why not Tweet or Instagram us a photo of your pretty nails (tag #sonailicious) We’d love to see them! PS. We have so many interesting non-nail related photos from our trip. If you’d like to see some let us know and we’ll put together a quick photo diary for you. 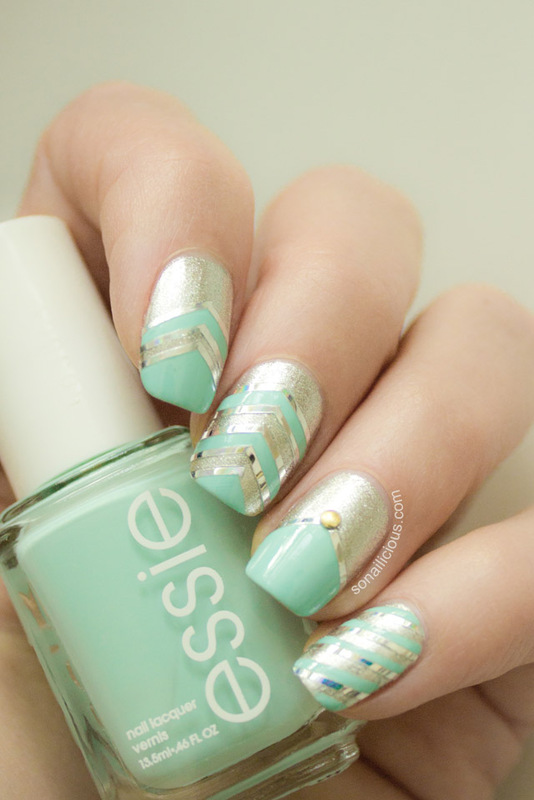 For more nail art tutorials check out our Tutorials section and if you want to have your own guide, get our “30 Easy Nail Designs & Tutorials” e-book. Do you know someone who would find this article useful? Please share this post and make their day.